E Commerce At Forefront Business PowerPoint Templates And PowerPoint Themes 0912-"Microsoft Powerpoint Templates and Background with e-commerce at the forefront"-"E-commerce at the forefront, business, technology, industrial, marketing, finance" Our E Commerce At Forefront Business PowerPoint Templates And PowerPoint Themes 0912 will be a feather in your cap. They will add to your enduring charm. 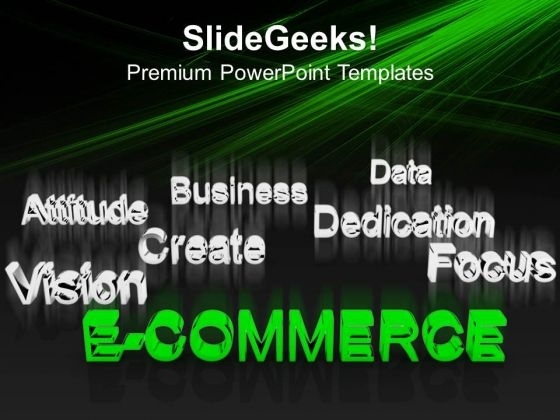 Get a firm grip on the dialogue with our E Commerce At Forefront Business PowerPoint Templates And PowerPoint Themes 0912. Try us out and see what a difference our templates make.